Erico Caddy® H-Ti/T Rod to flange clip of trade size 1/4-Inch, has static work load limit of 200 lb. It features spring steel construction and Caddy® armor finish. It is suitable for suspending threaded rod from beam flange. 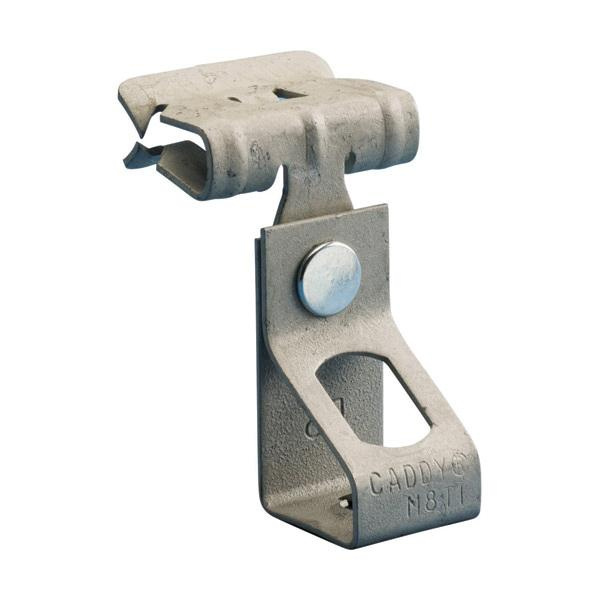 This threaded rod hanger swivels to offer vertical dropdown. H-Ti/T Rod to flange clip is cULus listed.